This 16 port Indoor / Outdoor Wall Mounted Access Termination FTTH Fiber Distribution Box comes with 2 ports for fiber optic cables both indoor and outdoor are workable. And there are 16 ports for drop fiber optic cable 3.0*2.0mm diameter. 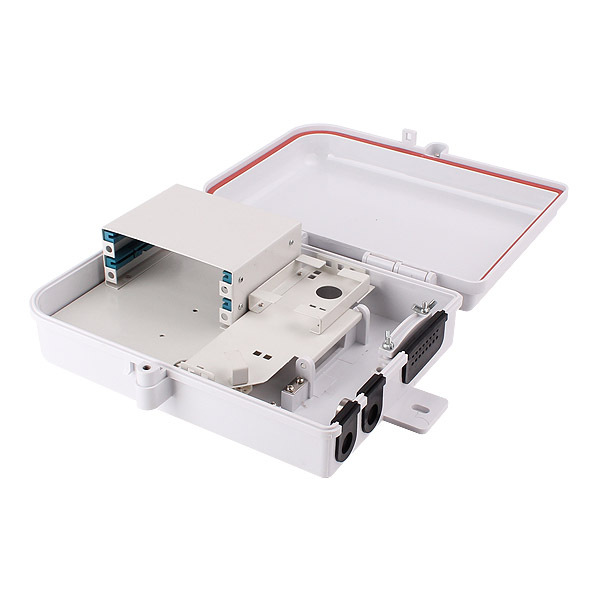 Inside this FTTH Fiber Distribution Box, you can assembly 1:16 PLC LGX optical splitter connected with adapters. Then the drop cable with connectors can be easily connected with the adapters for use.